If I have a stroke, I want my friends and family to embrace my reality. I am still the same person on the inside. I just have difficulty getting it on the outside. Please be patient with me and let me finish. Remember, I'm rebuilding my brain pathways. If I have a stroke, I don’t want to be treated like a child. Talk to me like the adult that I am. 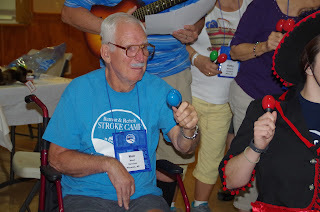 If I have a stroke, I still want to enjoy the things that I’ve always enjoyed. Help me find a way to exercise, read and visit with friends. Don’t isolate me. I still need my friends, and my friends can help me improve just by being there. If I have a stroke, don’t be afraid to reminisce with me. I still like to hear about the fun things we did. Remember, I'm rebuilding my brain pathways. If I have a stroke, and I become agitated, take the time to figure out what is bothering me. Sometimes I have no control over my emotions but don’t worry, I won’t hurt you. Remember, I'm rebuilding my brain pathways. If I have a stroke, treat me the way that you would want to be treated. If I have a stroke, make sure that there are plenty of snacks for me in the house. Even now, if I don’t eat I get angry, and if I have a stroke, I may have trouble explaining what I need. Remember, I'm rebuilding my brain pathways. If I have a stroke, don’t talk about me as if I’m not in the room. Remember, I'm rebuilding my brain pathways. If I have a stroke and you are my caregiver, don’t feel guilty if you can’t care for me 24 hours a day, 7 days a week. It’s not your fault, and you’ve done your best. It would help if you can find someone who can help you. If I have a stroke and you are a friend, the best thing you can do for me is ask my caregiver if there is something you can help with. It doesn’t have to be much they’ll appreciate any help they can get, big or small. If I have a stroke, and I have to live in a stroke care facility like a nursing home, or some such, please visit me often. If I have a stroke, don’t act frustrated if I mix up names, events or places. Take a deep breath. It’s not my fault and it's not your fault. Remember, I'm rebuilding my brain pathways. If I have a stroke, don’t exclude me from parties and family gatherings. Social interaction helps me improve. Remember, I'm rebuilding my brain pathways. If I have a stroke, know that I still like receiving hugs or handshakes. If I have a stroke, remember that I am still the person you know and love, I'm just rebuilding my brain pathways. Upon hearing of the recent unexpected passing of one of our stroke survivors, Ken West, I was immediately sad … yet was just as quickly glad that I had been hanging around with my video camera during our Dignity Health-sponsored camp in Prescott, AZ, last May. I know I've said it before, but I'll say it again that I witness so many miracles at every Stroke Camp. 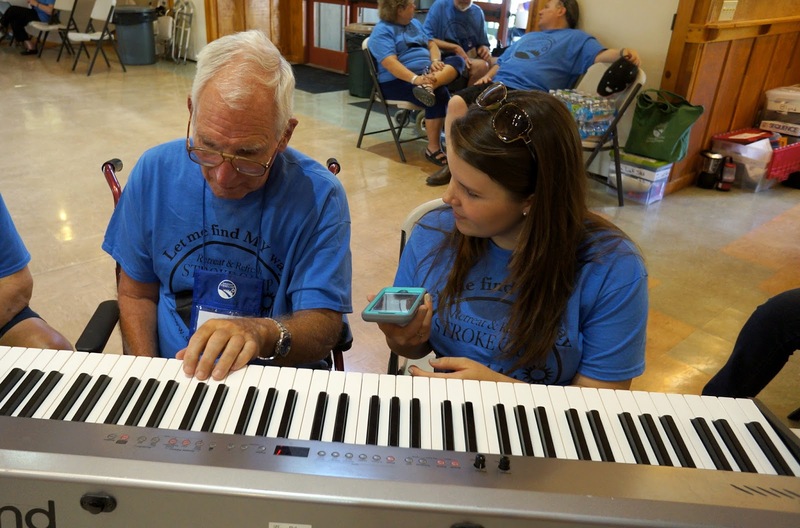 One of those revealed itself as Ken was encouraged to play the keyboard with music therapist Amy Baumert during free time Saturday morning. Ken had severe aphasia — difficulty with receptive or expressive communication — and yet, with the magic of music, he could sing many of those well-learned songs of life. 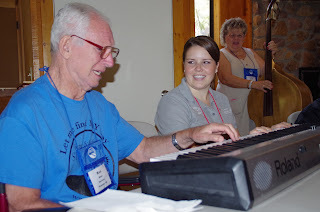 He is just one of many, many examples of why music therapy is such an important part of the Stroke Camp experience. 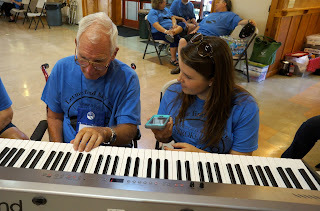 He practiced with Amy, and then performed in front of the entire camp on Sunday morning. I was captivated by his deep voice and how much he had achieved. Most of all, I loved his laugh, especially when he was laughing at himself. And the applause after his presentation was so genuine and rich, filling each of us with deep joy and even a few tears. For those of you who are getting these posts via email, I have replaced the previous SOS article, due to its poor print quality, with this one. This article was taken from a Strike Out Stroke Facebook posting I got last January. 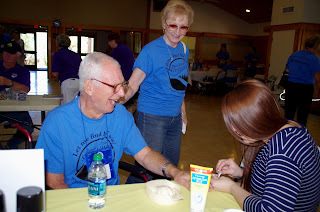 Strike Out Stroke is a registered trademark and is a division of Retreat & Refresh Stroke Camp. I don't know who the author is but I do appreciate their information. If anyone knows please let me know so that I can give proper credit.When someone survives a stroke, a family feels relief, happiness, and joy. But no one can be prepared for the perplexing wave of emotions that a stroke survivor experiences. Although emotional changes after stroke are typical, the impact on a survivor’s personality may be the most difficult to deal with. For caregivers and families, it’s important to remember that stroke causes trauma to the brain and that the behaviors and responses displayed are a reflection of that injury. Recognizing and coping with the behavioral changes that accompany stroke are just as important as addressing physical issues during the rehabilitation process. Emotional reactions are complicated by the array of sensory and motor disabilities that follow brain damage from stroke. Survivors struggle with deficits in language, reading, writing, speech, memory, judgment, planning and so much more. 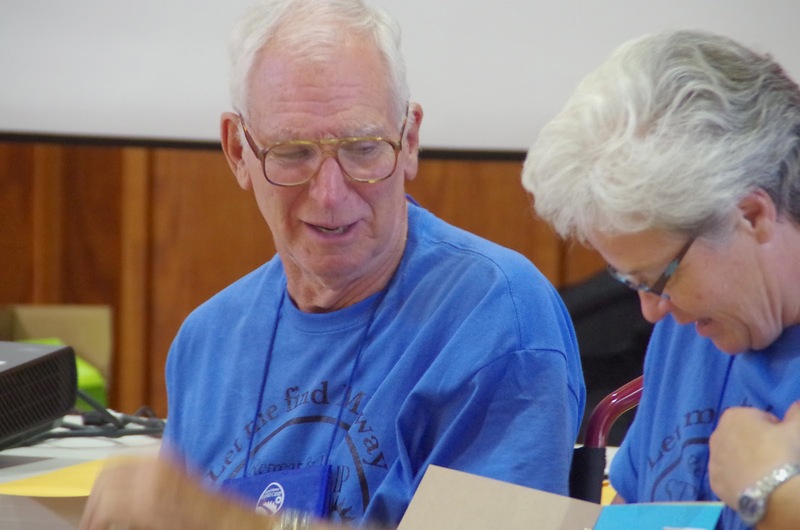 These cognitive problems can weigh heavy on stroke survivors and their families. Conflict may arise when the survivor feels misunderstood or utter despair over the loss of physical capabilities. While some emotions are “normal” responses to biological and lifestyle changes after stroke, other feelings may signal a more serious problem. Emotional lability – Following a stroke, the person may seem like a stranger: survivors may respond one way immediately after the event, only to respond differently a week or two later. Soon after stroke, the person may struggle to control his or her emotions. Survivors are said to be “emotionally labile”, meaning they are prone to strong feelings and rapid mood swings. The person may embark on fits of laughing or tears that do not fit’s their mood or seem inappropriate for the situation. They may be happy and sad in only a few minutes. 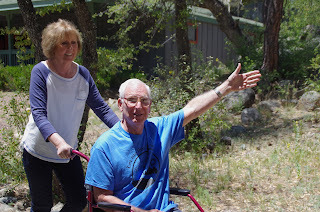 Impulsivity – Stroke survivors can be impatient and impulsive. Because areas of the brain are disinhibited, stroke survivors may be more impulsive. They fail to think ahead, or move too quickly – possibly causing themselves or those around them harm in the process. Caregivers should be especially watchful for this reaction when makingdecisions about a stroke survivor’s ability to drive a car. Anxiety – Anxiety is considered a “normal” reaction to lifestyle adjustment following stroke. As a person begins to cope with their new disabilities, they may feel a sense of loss that triggers anxious feelings. Anxiety is frequently associated with periods when a person is left along for a period of time. Fears can arise of another medical emergency, their growing dependence on caretakers, and helpless for their condition. Self-centered behavior – Insensitivity to others is commonly seen in post-stroke patients. Many survivors become largely concerned with their own interests and exhibit inflexible, rigid thinking. This lack of empathy can contribute to demanding behavior. 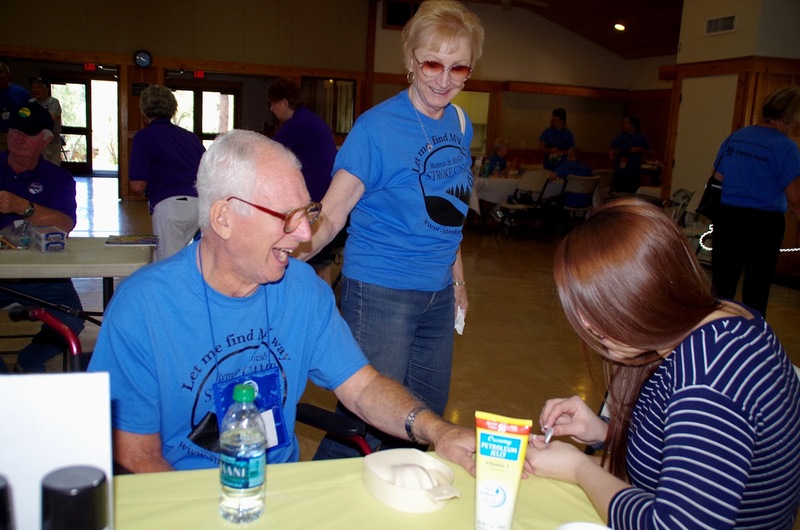 Caregivers can feel as if the person is impossible to reason with, which could result in the breakdown of family ties and important social bonds. Apathy – Stroke survivors may be content with sitting around for hours without doing nothing at all. While this lack of motivation may be alarming to caregivers, apathy is a consequence of damaged brain areas. Stroke survivors may lack initiative and show little feeling or interest in activities. It’s important to note, however that apathy is different than being tired or depressed: An apathetic person feels content with their state of being, whereas a depressed person feels despair. Depression – Depression is a common reaction following any life-altering event, including stroke. Survivors may feel a sense of sorrow for activities they were previously able to do. Many question their self-worth; people value themselves through their activities. A loss of identity can result in depression, anger and frustration. Both patients and family members may cycle through the stages of the grieving process (denial, anger, bargaining, depression, and acceptance). Treatment for post-stroke depression may be necessary. If the person’s depressive symptoms worsen over time, interfere with daily functioning, or include suicidal thoughts and ideation – consult a medical professional immediately. A range of therapies and treatment options are available to help. Are post-stroke personality changes permanent? Personality changes that occur after a stroke are often the hardest to deal with. Luckily, not all changes are permanent. As the recovery process advances, some reactions may disappear. 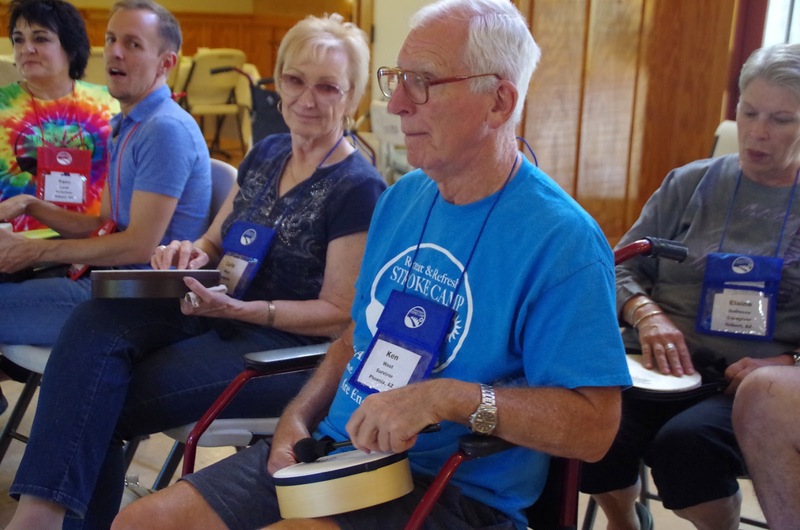 The person may “mellow out” over time as he or she builds coping skills and adjusts to life as a stroke survivor. Be patient. Have understanding that your loved one is facing many challenges and in most cases, cannot help behaving in undesirable ways. Remind yourself that these behaviors are a part of the brain injury. Stay strong for your loved one – your support is important. If your loved one is having angry outbursts, try to find what triggers him or her. It could help prevent future incidents. Stay calm. Avoid raising your voice when you talk to the person and take a time out if you need to deal with the problem alone. Talk with other family members about the changes your loved one is going through. Educate them on what to look for and how they can help if your loved one is having an especially bad day. Seek counseling or join a support group. Working through your frustrations with others who are in similar situations can be helpful and healing. Discuss personality changes with your healthcare provider. You doctor can help you assess your loved one’s health condition and provide recommendations on post-stroke recovery.